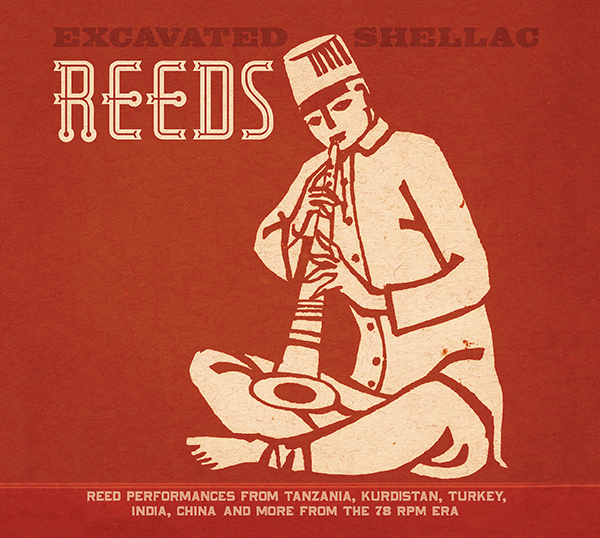 I am happy to say that Dust-to-Digital has released my new LP/CD, Excavated Shellac: Reeds, which is now available through all the usual outlets, along with a reissue of Strings with some rare bonus tracks. Reeds is an intense listen, but as you might expect, I really love the music, with all its sometimes uncompromising harshness. It’s meant to be a bagatelle – a short collection, intended to be a door-opener, and written in the same manner as I produce this site. I had help from just the same folks who worked on Opika Pende, namely Debbie Berne, David Murray, and Michael Graves. Supporting releases like this help me to continue work on larger projects. I strongly believe that if you appreciate this site, you will enjoy my releases. So, in honor of that, here’s one that got away. The Mij-Wiz label is a bit of a mystery, which is one of the reasons it didn’t make the cut for the LP. There were many post-WWII, independent 78 rpm labels issuing Middle Eastern and Arab-American music. Some made original recordings, some bootlegged recordings made overseas. Some were beautifully produced and some, like this one, were very poorly pressed. Much of the music issued on these labels was popular music of the day – Umm Kulthumm and Mohammad El Wahab ballads, so-called “belly dance” music, and songs from films. Some regional music crept out, however. 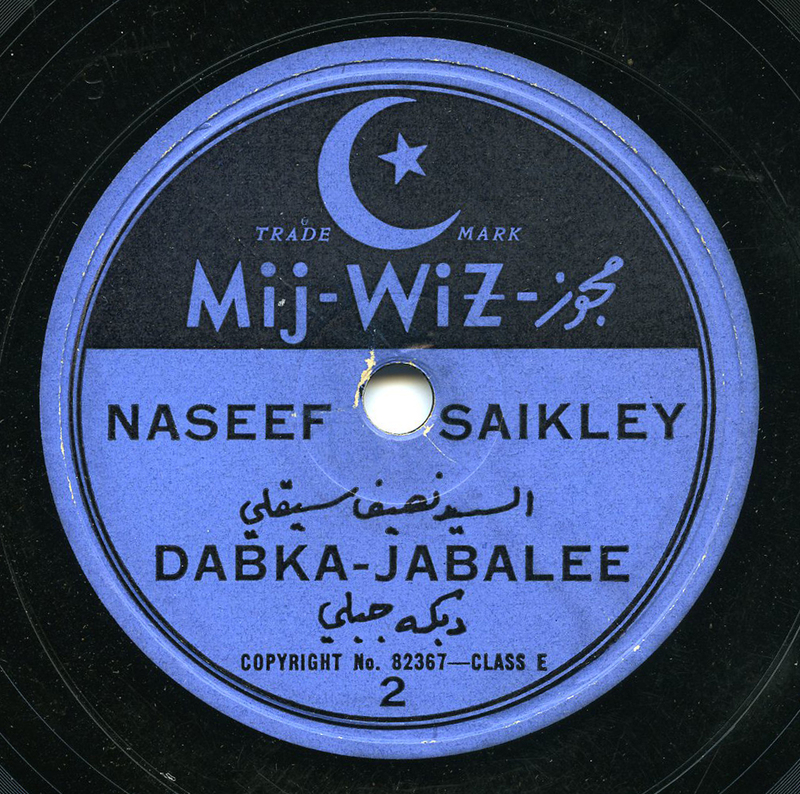 The handful of discs issued on the Mij-Wiz label make it seem to me as if it were a private, independent pressing of some kind, as they all feature the same thing: a man named Naseef Saikley playing dance music on the mijwiz. The mijwiz is a short, nasal-sounding, single-reed instrument made of bamboo cane, with two pipes that are tied together – a drone and a melody pipe. In the musical instrument hierarchy it’s considered a “double clarinet,” and is similar to the arghul of Upper Egypt (featured on Reeds) and numerous other instruments stretching across the Middle and Near East. The mijwiz is considered a popular instrument used by the Druze in Syria, but it is also simply a common instrument for weddings all throughout Syria, Palestine, Lebanon, and Jordan. This piece, in fact – “Dabke Jabali” to transliterate it a bit better – is a well-known line-dance at weddings: The Mountain Dabke. Many thanks to reader/commenter “Hammer,” who identified Saikley as a Lebanese Christian who immigrated to the U.S., and was based in New Jersey. My hunch is that this record and others on Mij-Wiz was issued in a set, likely in the early 50s.